Unfortunately, the dress you are looking for (Style: CT-8380AY5AT3, Name: CT-8380AY5AT3) is no longer available. Get ready to stand out in this short black party dress with gorgeous pops of color. 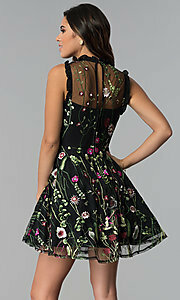 Lovely as a wedding-guest dress or cocktail dress, this sleeveless style boasts gleaming floral embroidery. Beautiful bright hues of embroidery adorn the sheer-mesh overlay from the high-neck collar to the hemline of the flirty short a-line skirt. 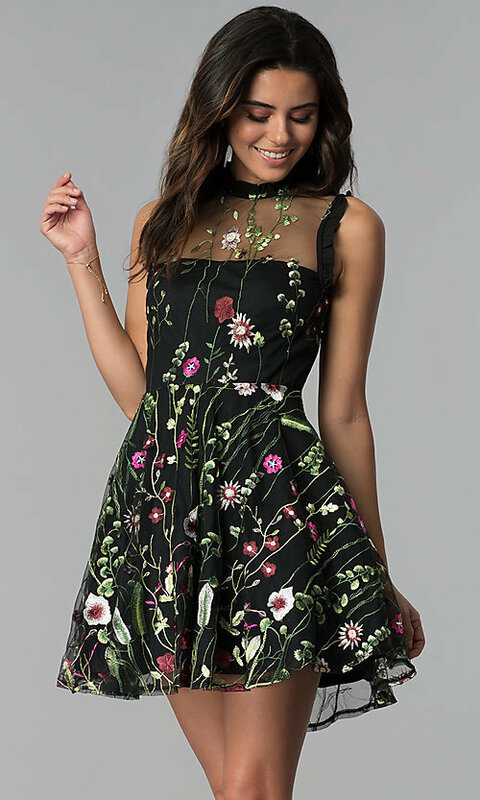 A strapless lining offers a sharp contrast against the floral print, while cute ruffles adorn the shoulders of the junior-sized little black dress by City Triangles. 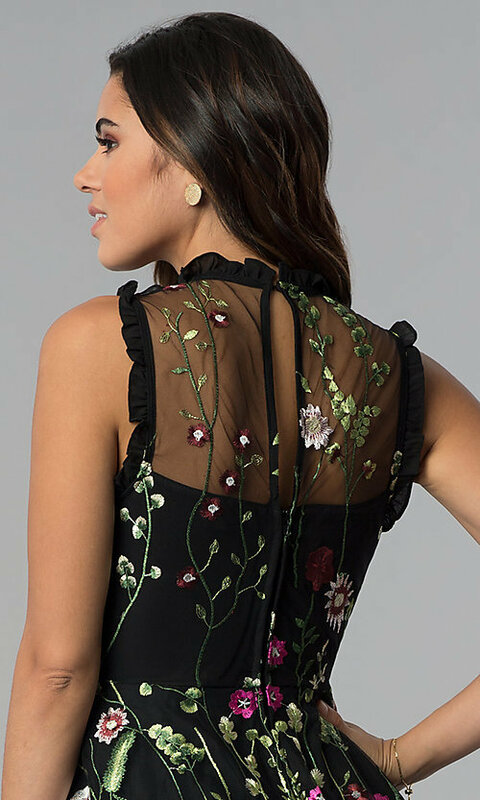 A flirty back keyhole cut out completes the look of this affordable short black party dress, under $100, that is delightfully vibrant for semi-formal events.